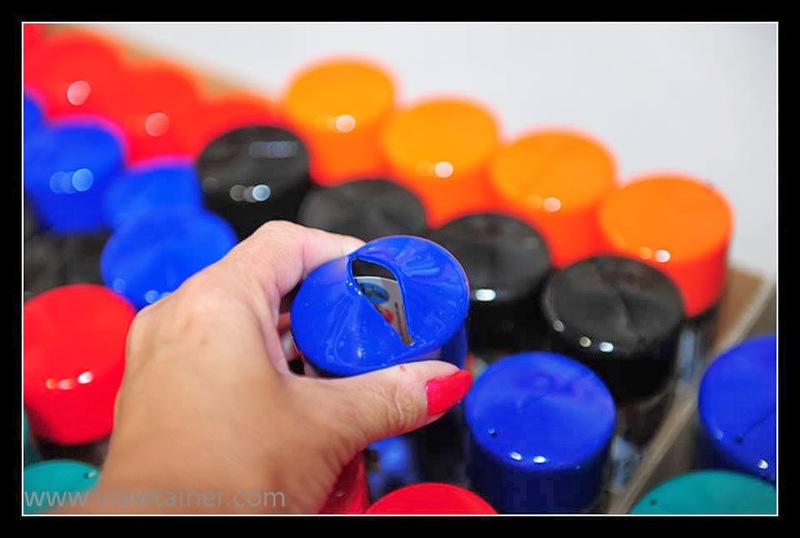 Have you seen these cool storage containers from Viewtainer? I've been following them on Facebook for a while now and they look really useful. They come with a squeezy top so you can get the goods out without having to actually open the lid each and every time. They're all cylinders and while most seem to range from 2x4" to 2.75x12", you can also get non-squeezy lids and custom order longer tubes. And, if you can't tell from the photos here, they come in scads of colors! They're great for storing pretty much anything you can think of. I imagine I'd have to duke it out with my hubby since he'd want to use them to store screws, bolts, nails and every other little tool bit floating around our garage.. And I KNOW my 6yr old would want some. He LOVES containers. I can only imagine the things he'd want to do with them- pretend mailboxes, dropping in counting items and magnetic letters, etc. I'd like to see him use them to keep his craft supplies and toys in- buttons, pom poms, foam pieces, little Legos, dinosaurs and and and. Personally, I'd like them for MY craft room- eyelets, brads, buttons, small flowers, Scrabble tiles and dominos, colored pencils whose box was destroyed... yeah, and, and and. Oh yeah. And my candy stash. LOL! I've also seen some used as travel containers (travel sized lotions and such! ), pet snack storage, and emergency medical kits- great for Bandaids! Of course, don't forget you can decorate the Viewtainers too. 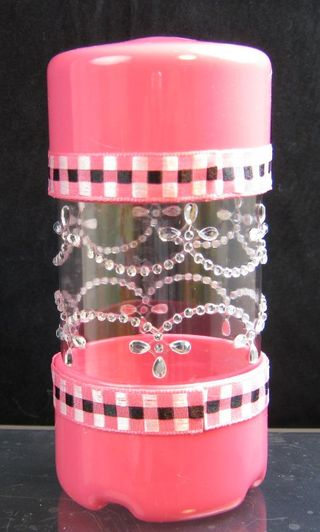 There's this blinged out one posted on Viewtainer's site by Dawn. Fun! So. Have you seen these? Tried them? You can now get them at Scrapbook.com and Amazon.com. Some Home Depots and Sears also stock them though you'll need to check. Unfortunately, neither of those stores in my area has them at this time. Would you LIKE to try them? Viewtainer has offered to send one of my readers a 3-pack of Viewtainers! Yay! Because of shipping costs, this giveaway is limited to the US. To enter, please leave me a comment telling me how you've either used Viewtainers or how you'd like to... or both! :) The giveaway will close at midnight EST, Thur. Oct. 24 and I'll announce a winner soon thereafter. Promise! I hate entering giveaways and having to check back for weeks to see if I won- I definitely won't do that to you! I'd also suggest you like Viewtainer on Facebook- it's not uncommon to find a giveaway happening over there! 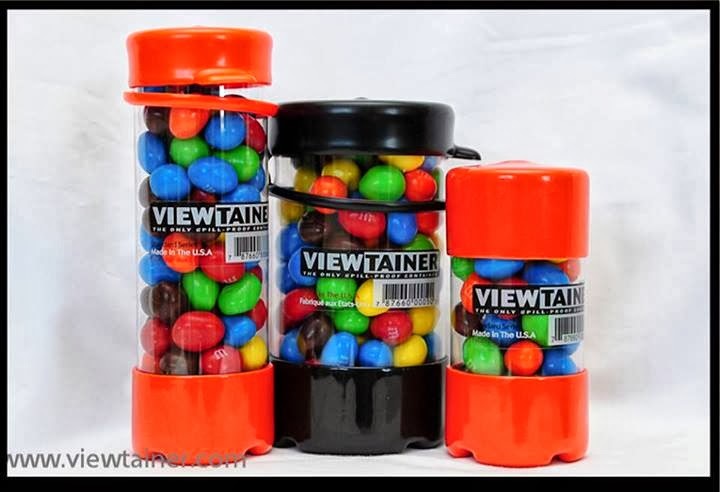 For more great ideas on how to use these, check out Viewtainer's Facebook page, blog and especially, their Pinterest site. Viewtainer sponsored this post and I'm receiving compensation for it. However, all opinions are 100% my own. I would love that big one. I think it would be perfect for those individual sized applesauces I buy. They never stay in one place and I always find a rogue one in the back of the fridge. This would contain them nicely AND save space! Oohhh. Good one! I'd thought about open foods but stacking applesauces would be a great way to herd them. I'm with you on that! I'm just not sure I have enough space for all of the ones I need to make it neat and clean. LOL! I need more, I keep all my camera wires in one, my gellatos in another. I was thinking My washi tape needs one. and my crayons, and my pencils, and my special pens, and my charcoal, my special erasers, my small Inks. It would be really to win!! It sounds like you definitely have them well utilized and have great plans for more! I've seen washi stacked in one- that would be a perfect way to keep it dust free. 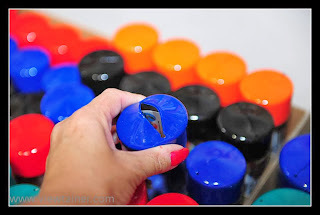 I can think of lots of uses for these---craft storage (ribbon, tape, buttons), food storage (trail mix in the packbacks) and garage storage for nails, screws, etc. Thanks for the giveaway. I like the idea of turning them into backpack snack containers! I've been wanting to have these, I think they would be great to organize my craft supplies! I have not gotten any yet! I can think of tons of uses -- buttons, ribbon, dog treats, and the list goes on! It's amazing how many things you can do with these! I would love them for my crafting supplies. Thanks for the chance to win!! My crafting supplies are definitely what I have that are calling for these the most too! If I had some Viewtainers, I'd use one or tow of them for my small, everyday buttons. so much easier than the jar system I have now. 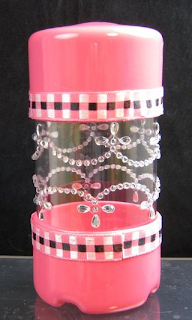 I would also use a Viewtainer for some of my medium-sized beads. I'd love to have a larger container that didn't take up so much horizontal space. I use a lot of glass mason jars or jars saved from grocery items. I'm always worried I'm going to drop them on a hard surface and have a giant dangerous mess on my hands. No such issues with Viewtainers. Thanks for the great giveaway! I love the idea of mason jars but Viewtainers definitely wouldn't have the issue of breakage and the caps would be such a great way to get to the contents. I would love them for my beads. Thanks for the chance to win!! That would be a great thing to store in them! I would love them for my workshop tools.Thanks for the chance! I would like them for my sewing tools.Thanks for the chance to win! 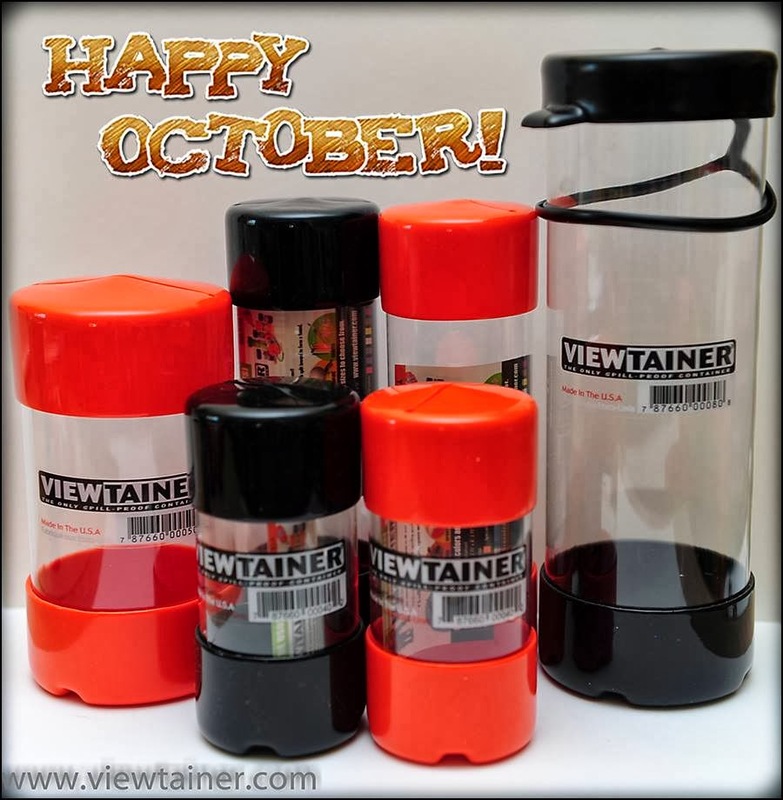 A Viewtainer would make a great traveling sewing kit! I use them to store my crochet hooks, rubber stamps and jewelry findings! would love some more! That would be a great way to store crochet hooks- no more rolling away! Can never have to many viewtainers.. I have a set.. but my daughter always finds a way to use them as they empty.. which only means.. SHE NEEDS her OWN!! lol So if I am lucky enough to win a set... They go to her! she can store her inchie babies in one.. (hand held dolls) She can store her favorite candies one! (Hershie kisses) and she can use one to store her favorite extra barrets in, for her hair! Too funny! I definitely envision having to get my son his own sometime soon too. LOL! Oh my goodness, these look so fun. I've never tried them, but I think these would be fun to decorate it and deliver my daughter's birthday present next month. What a fun idea Rhonda! Using them as packaging is great! I love the whole design of these- fun look to boot!